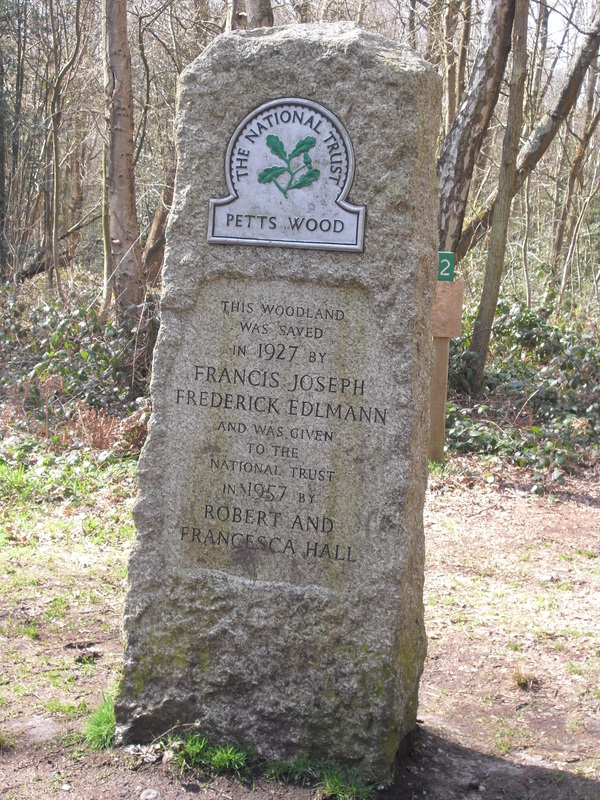 Petts Wood woods were saved by Francis Joseph Frederick Edlmann in 1927 and donated to the National Trust by Robert and Francesca Hall in 1957. 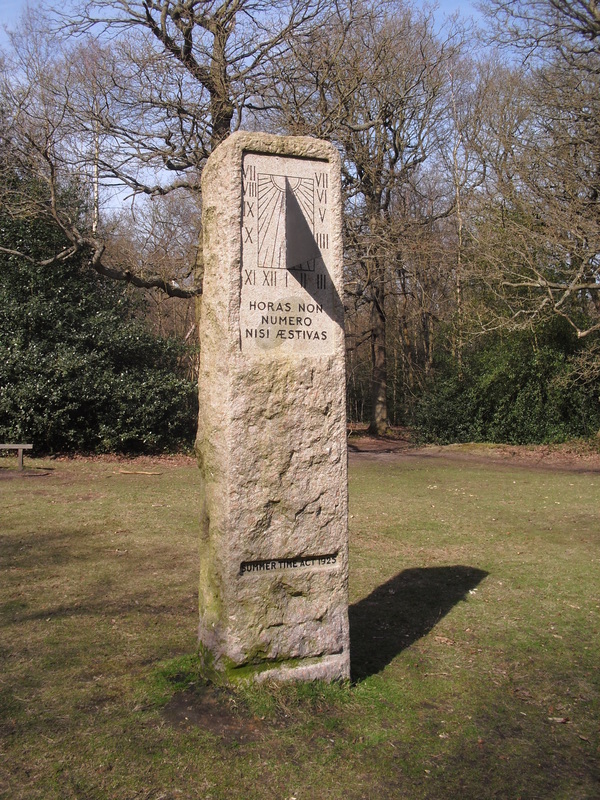 Petts Wood developed during the late 1920s and 1930s inspired by the Garden City movement. 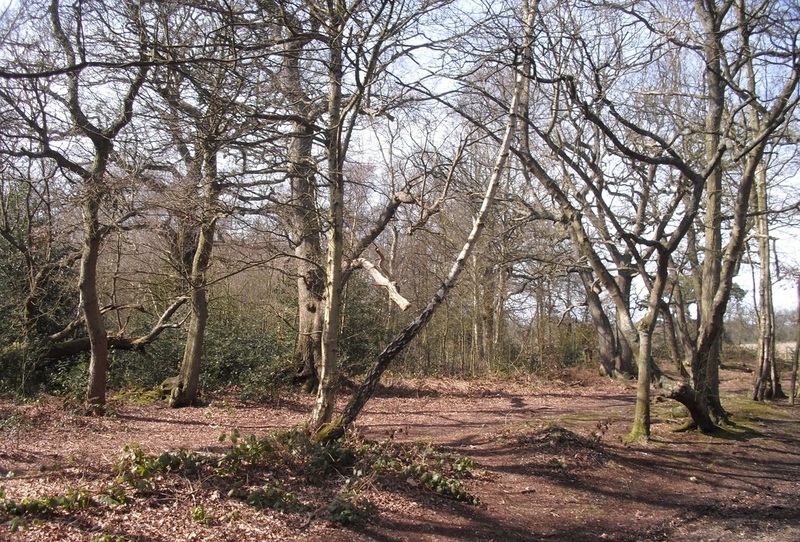 The area has several woods now managed by the National Trust. 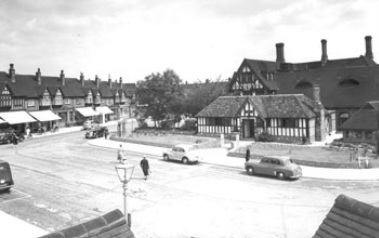 Petts Wood was planned with the railway station and shops at its centre and the growth of a community with churches, pub, sports clubs and societies. Unusually for a district centre, Petts Wood is split by the railway line. Station Square was laid out in 1928, the retail centre developed around the station where there is now a variety of small chain shops and independent retailers. There is a good variety of cafes and restaurants plus two large pubs which help to maintain a night-time economy. Development first began on the East side of Petts Wood and spread to the West side once the Station was established. The residential development in the East side is predominantly Neo-Tudor, with many Arts and Crafts references. There are large detached houses on spacious plots, semi-detached two-storey houses and some detached bungalows. The scale of the intact layout is recognised by being the largest Area of Special Residential Character in the Borough within which the particularly fine examples of these styles can be found in the three Conservation Areas: Station Square, The Chenies and Chislehurst Road. The majority of dwellings have generous gardens to the rear and off-street parking. The main development pressure comes from residential extensions and replacement houses which could alter the character and appearance of the locality. 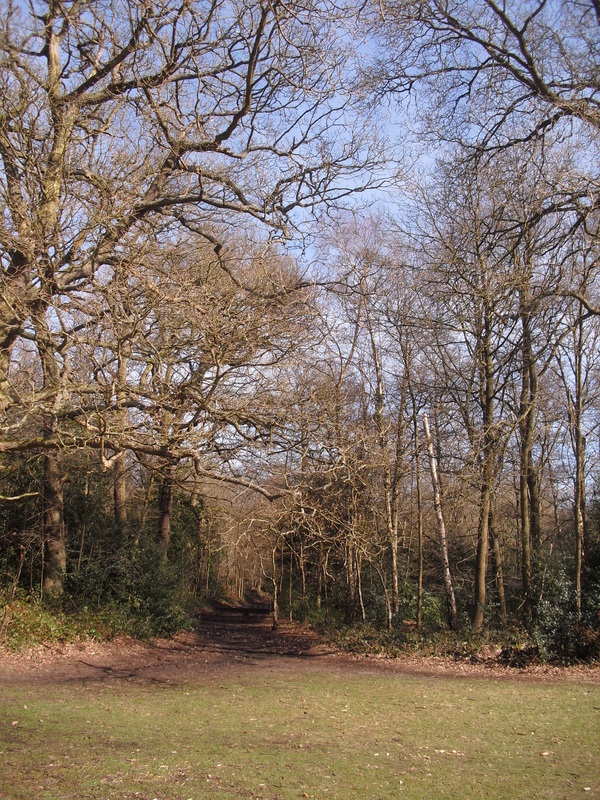 Development in the West side of Petts Wood is less linear with narrower roads than the East and is characterised by long crescents. Development is much more closely spaced. There are some detached houses and clusters of bungalows however the classic thirties semi predominates with front gardens now used for off-street parking. Many chalet style semi-detached dwellings have had roof extensions and, as on the other side of Petts Wood, bungalows have been demolished or extended to create two-storey houses. 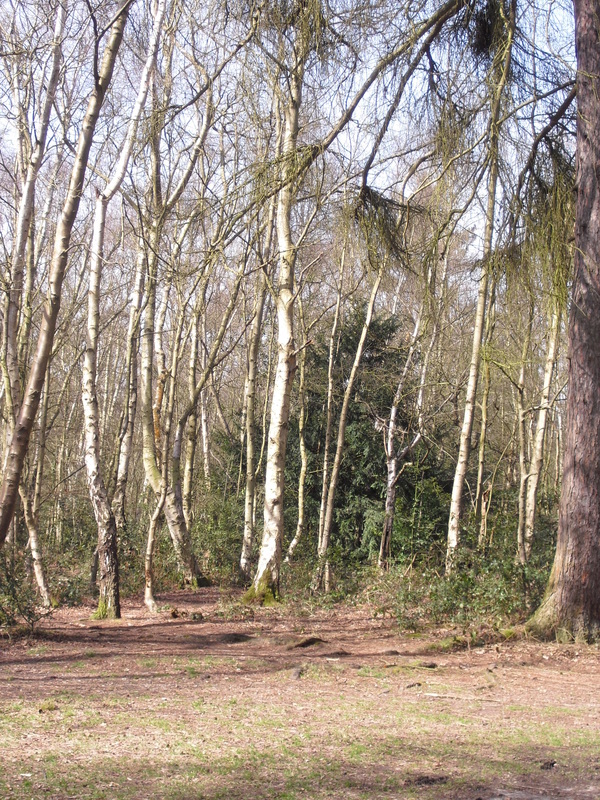 A large number of mature trees in private gardens give the area its wooded character. 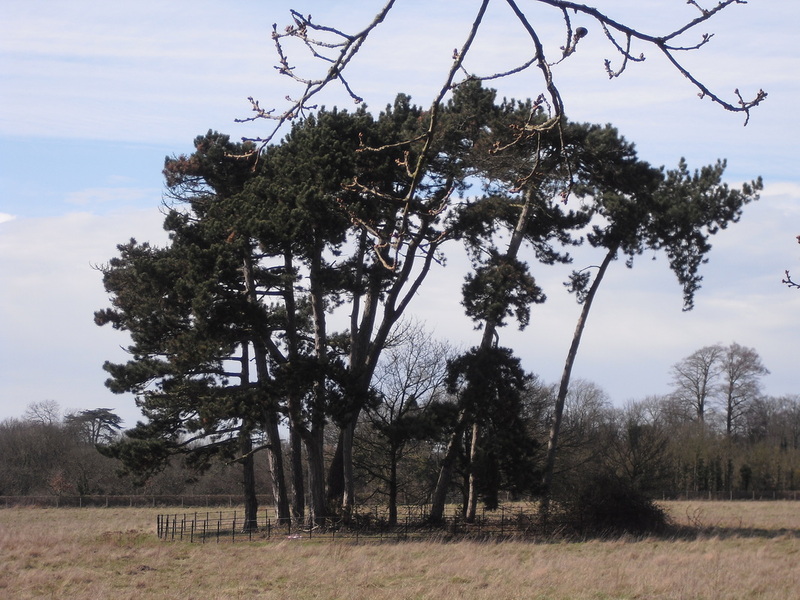 Tree Preservation Orders are applied to those which have a significant impact on the local surroundings. 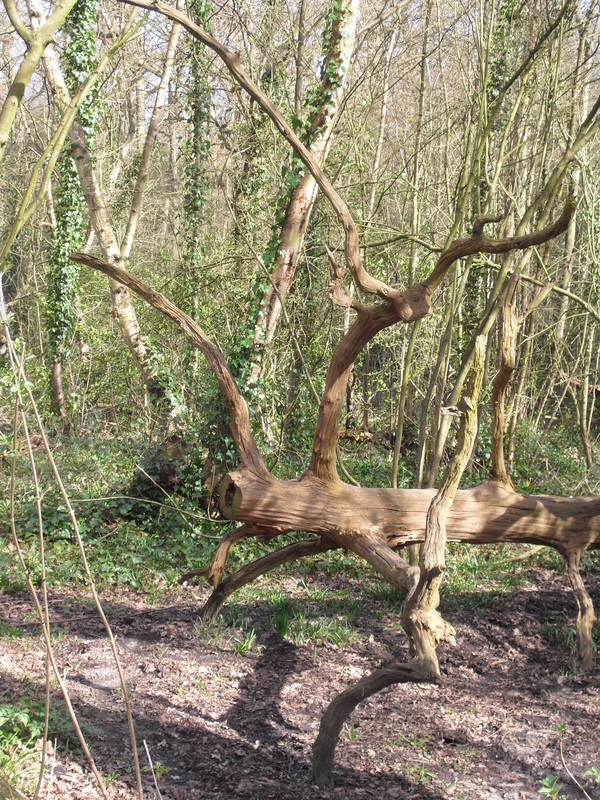 Petts Wood is bounded by open space such as Sparrow Wood and Jubilee Country Park in the West and Petts Wood itself to the East. There are a number of recreational grounds including Willet Rec. 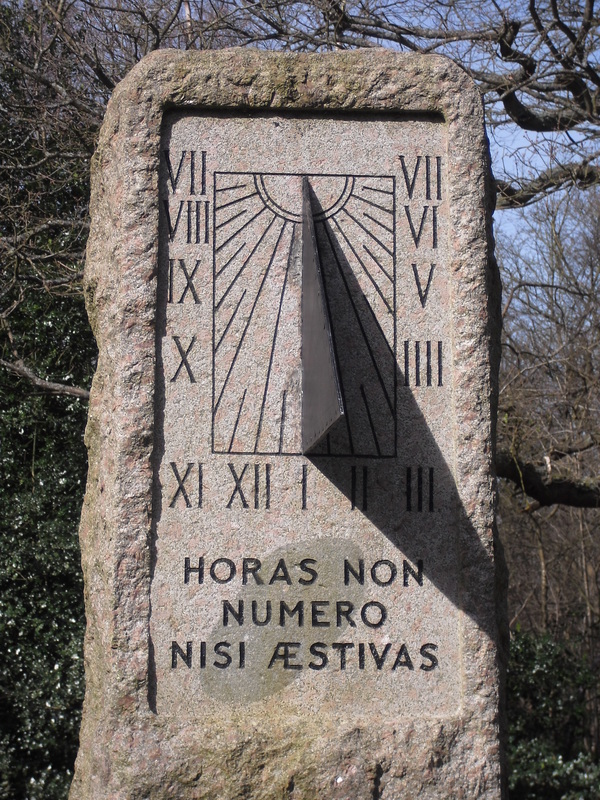 and Eynsford Rec. The Kyd Brook is a mostly culverted watercourse running through the area. 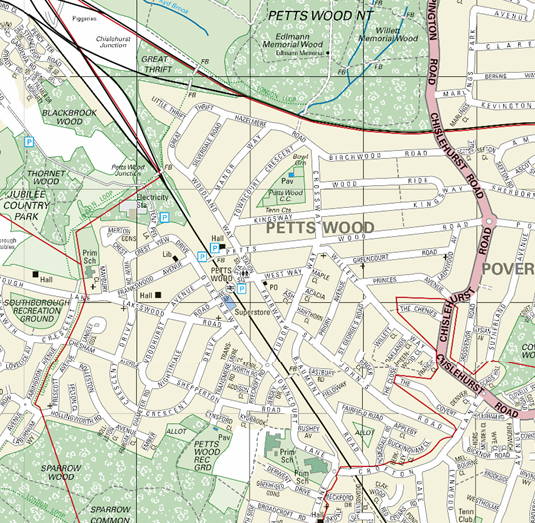 Petts Wood has an average household income that is close to that of the Borough. The largest percentage of residents are employed in professional and technical occupations. A higher percentage of workers in the area tend to commute by rail or travel by car above other transport modes. There are almost 2,500 jobs based in the area. The unemployment level is the lowest in the Borough and it also has one of the lowest levels of income support claimants. The population is characterised by a higher than Borough average percentage of over 65s and over 75s. The percentage of households that comprise couples with dependant children is higher than the Borough average although the percentage of under fives is lower. 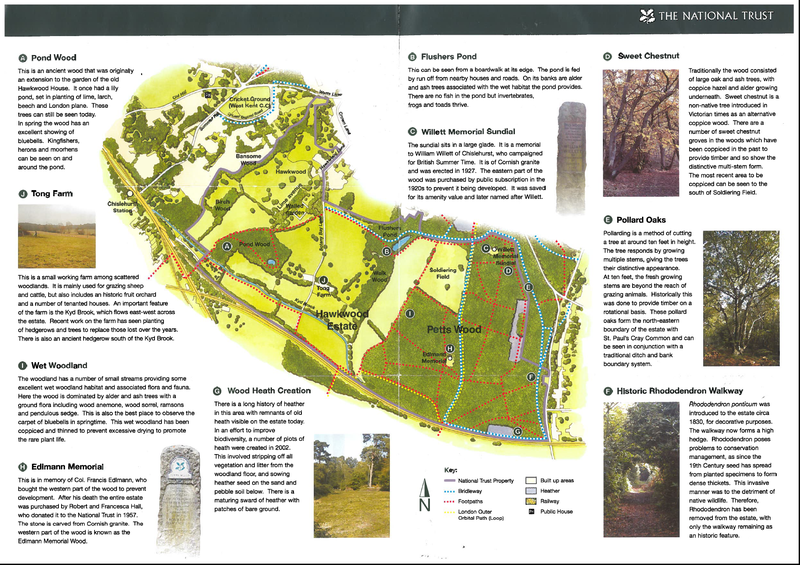 Petts Wood is defined as a District Centre in the Bromley Unitary Development Plan and contains a mix of retail and non-retail units. Out of 141 units the primary and secondary retail frontages contain 16 convenience units and 54 comparison goods stores, 59 service and 12 vacant units. 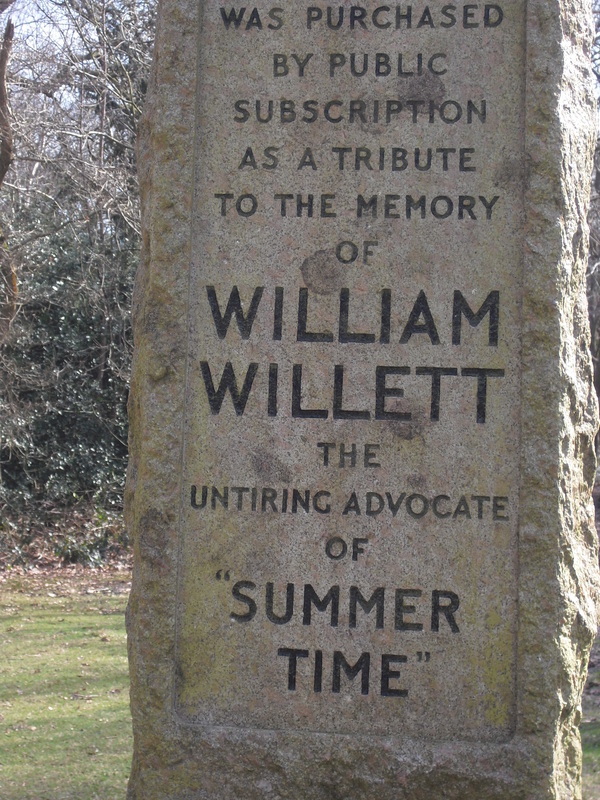 The memorial to William Willett, in Petts Wood woods, towards Chislehurst, commemorates the advocate of 'summer time', which was first introduced in 1916, a year after her died. For more information, click here. Click on Map to enlarge to readable size. There is a good range of retail units on both sides of the railway line and increasing numbers of restaurants and take-aways. News Shopper headquarters is also based in the centre. Three supermarkets are located within Petts Wood: Morrisons to the West and Iceland and Sainsbury’s Local on Station Square to the East. There are no other significant local parades in the area. Twenty community venues are located in the area. These include the Memorial Hall and the library. There are also a number of annual open-air events held in the centre. There are two allotment sites in the area. There are three GP surgeries; they offer a range of different services and clinics. The nearest A&E is the Princess Royal Hospital which is the only A&E department in the Borough. A number of parks and playing fields provide bases for tennis, bowls and cricket and give the area its spacious character, in particular Jubilee Country Park provides an important recreational area. There are two primary schools in the area and the Bromley Youth Music Trust is located within Southborough School. There are no secondary schools within the area. However there are several schools in adjoining areas which serve children in the community. There is a strong residents’ association with high membership numbers. The area is very well served by six bus routes, including the N47 night bus from Trafalgar Square/Charing Cross Station. Petts Wood railway station provides services to London Charing Cross, Victoria, Cannon Street and London Bridge and is well connected to the rest of the Borough when travelling via Bromley South and Beckenham Junction, where passengers can connect to the Tramlink. Roads in the area have easy connectivity to the A224, which in turn has easy access to the A21, the M25, the A20 and A2. Congestion continues to take place at peak periods and whilst Petts Wood is a controlled parking zone some on-street commuter parking remains. A London Cycle Network route runs roughly parallel to Petts Wood’s train line from Orpington Station and North East towards Bromley South and beyond.